In Memory Of A Good Friend, Whose Continuous Encouragement and Support, Gave A Dart Rookie A Life Long Love Of The Game. Our mom was the most caring and thoughtful person we know. She would do anything for anyone and always put us first. Our mom taught us how to love and be loved by showing us how to care for one another as well as life its self. She showed us what friendship was all about. She is the best mother as she never let us down. Our mother was a true friend as she was always there for us and whoever needed a helping hand. This is why we love our mom and will try to live our lives like hers as she has shown us so much. We Love you mom now and forever! Beloved common-law husband of Therese Grandbois. Loving father of 4 sons, 2 daughters, 2 step-sons and 1 step-daughter. Also surviving are his 4 brothers and 5 sisters. Guy is sadly missed by his 11 grandchildren. 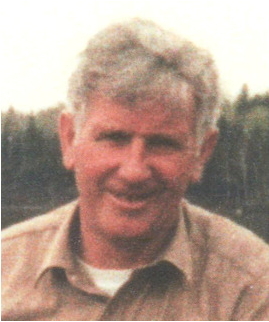 Guy was born in Magog, Quebec in 1933 and moved to Welland in 1950, where he owned and operated Guy's Meat Meat Market on Welland Street for 37 years. A wonderful husband, father and special Grandpa. 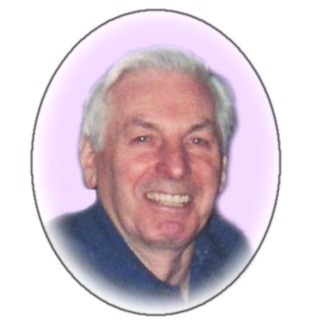 Don had a great sense of humour, and enjoyed playing golf and darts. Anyone who knew him, has fond memories or funny Don stories to tell. He is greatly missed by all. 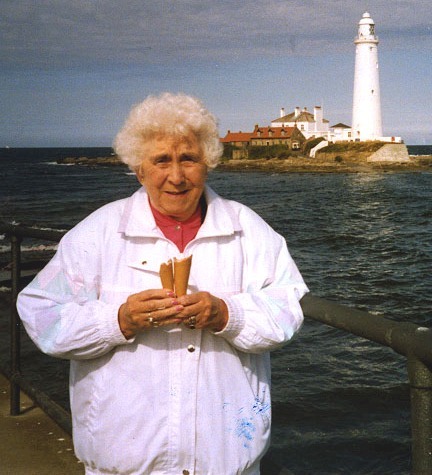 Elsie was also affectionately known as "Mother Elsie" and as "Nanna" to many. A simple and honest woman, Elsie was always willing to lend a hand. Likeable and fun loving, she was also known for her love of the game of BINGO. Elsie was a member of the "Targets" dart team. Elsie enjoyed playing darts. Just ask any of us that had the pleasure to play with or against her. The phrases "Nice Darts Nanna" and "Hard Lines Nanna" whenever heard, will bring back many fond memories. Mac had a zest for life and it was demonstrated through his profession as a carpenter, his darts and most of all his family, Gloria, Bill and Christine. He was a proud, kind hearted honest man who cherished his family and always took care of them. It bought him joy encouraging Christine to throw the perfect dart. President one year on the Niagara Frontier Dart League. Executive on the Welland District Open Dart League as a statistician. Friday Night Men Dart League where his was the president for a few years. Those who knew Mac remember the smile, humor and dedications he represented. 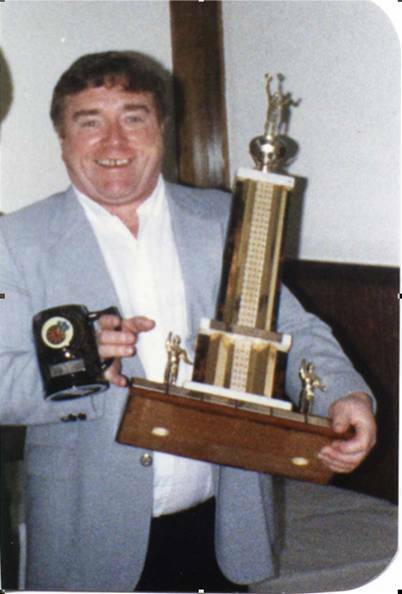 Founder of the Welland & District Open Dart League in 1983. Jimmy was a good husband and best friend to his dear wife Margaret. He was a loving father to his two daughters Janice and Wendy. Jimmy introduced Janice and Wendy to the game of darts, which as anyone who knew Jimmy, was his passion. Jimmy was a great teacher of the game and always made himself available to anyone regarding the game of darts. .
His life was his family and darts. Jimmy saw the good in everyone. He was a very good natured person. The only thing he ever argued over was darts. Jimmy will be remembered for unparalleled sportsmanship in assisting anyone in learning their finishes. We learned that double one, is just another double, as Jimmy would throw his "marker" to split the "11" wire, then his "guide" to the "1" wire, and "Game" as his last dart landed in the double-one bed. We are all better players and people today, and are honored to have known you. 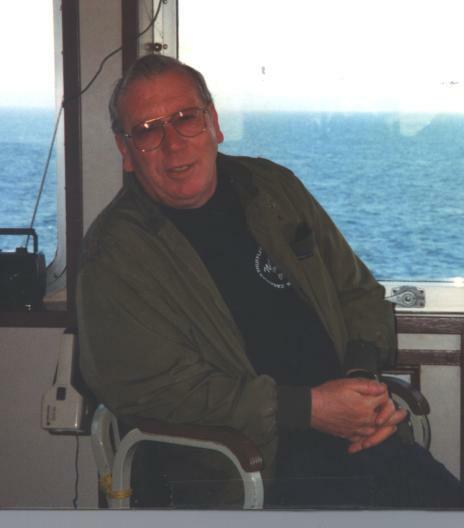 Vocal, Yvon - Of the Woolcott Wing in Welland passed away at the Welland County General Hospital on Wednesday, March 10, 2004 at the age of 72 years. Father of Roseline Brennan, brother of Ovila Vocal, Marriette Lamontagne, Vincent Vocal, Rejeanne Tanguay, Luiggia Cadrin, Armelle Asselin and Rejean Vocal. Also survived by many nieces and nephews. He was predeceased by his parents Constant and Adela Vocal and a brother Francis Vocal. He will be greatly missed by very close friends and family. This is a rather nice picture of Norm showing a side of him that few people knew. He is at work aboard the self unloading bulk carrier , the Algolake, as it sails one of the Great Lakes. Norm was a great family man. He loved to play darts and loved people in general. He always greeted people with a hello or with a handshake and will always be remembered as a kind hearted person. 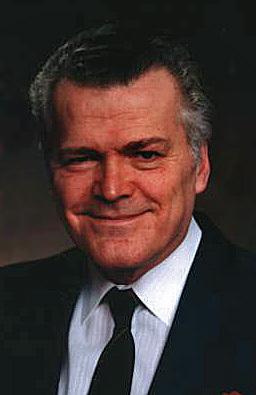 Norm passed away at his residence on March 16, 2003 at the age of 65. He is very sadly missed. In his 82 year, George passed away peacefully with his family by his side. George was a decorated war veteran and a life member of Branch #4, Welland. 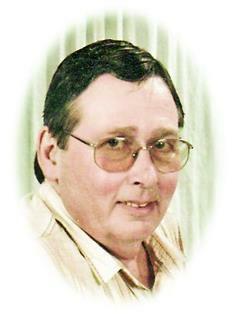 George was an avid dart player, as well as cribbage and card player. George is survived by his wife Florence, his children George Jr., Patrick, Debbie, Bonnie, and many grandchildren and great-grandchildren. MURRAY- FRANK Lester Peacefully, surrounded by his family, Frank passed away at home on Friday December 23, 2005 at the age of 63 years. He will be sadly missed by Audrey, his loving wife of 23 years. Husband of the late Valerie Arbour 1980. Devoted father of Brian partner Jeanette of Vancouver, Melissa Rob Rogers of Vancouver, Carolyn Baltich partner Jackie of Sherkston, Trent Woelfle Marlene of Port Colborne , Anne Kramer of Fonthill, son-in-law of Eugenia Biederman. Much loved Papa to Jordan Baltich, Matthew, Tyler and Samantha Rogers, Eric and Chad Woelfle, Melissa and Lauren Kramer. Frank will be sadly missed by his sister Phyllis Chuck Butyn, Brothers John Lorrie, Bob Scotty, Jerry Kathy, Jim Carol and Rick. He will be reunited in heaven with his brother Don. Always dear in the hearts of his nieces and nephews. Predeceased by his mother Margaret nee Wheaton Murray. 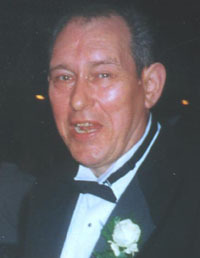 Frank was a long time employee of Atlas Steels and worked with Audrey at E.D. Woelfle Ltd. He enjoyed many long term friends at Niagara Air Bus. He was alderman, City of Port Colborne for 2 2 year terms, 1979 1982 inclusive. Frank accepted the challenge of his illness and his faith, positive outlook and unique sense of humour will be missed by all who knew him. His hobbies included playing with his grandchildren, golf, baseball, gardening and living in his trailer. LAMPMAN, HERMON Red at the Welland County General Hospital on Sunday, January 22, 2006 in his 89th year. Loving husband of Mamie for 64 years, father of Ronald Shirley, Robert Barb and Kim John McNaughton. Grandfather of Kristin Chris Davies, Keara Mike Jakic, Craig Lampman, Karina and Douglas McNaughton, and great-grandfather of Teagan, Tayah and Kalea. Predeceased by his parents Isaac and Alice Lampman and sister Iris Schultz. He was a World War II Veteran who served with the Lincoln and Welland Regiment. He was an avid sportsman retiring from his position as captain with the Welland Fire Department in 1977 after 31 years of service. He was a life member of the Royal Canadian Legion. MARIAGE, Jean Claude - At Welland General Hospital on December 23, 2004, Jean-Claude of Welland in his 69th year. Beloved husband of Adrienne Carrey Mariage. Dear father of Roger Viviane and Jeannette Wilcox Roger of Welland. Cherished brother of Alexandre of Montral, Adrien Prscille, Jean Pauline of Rouyn Norande, Jeannine Michaud and Albertine Ducharme all of Welland. He will be sadly missed by his grandchildren Chad and Andy Mariage, Allison, Eric and Krista Wilcox. He is predeceased by his parents Albert and Josephine and three brothers Paul, Marcel and Roland. 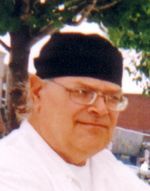 Jean-Claude was born in Rouyn Noranda, Qubec and came to Welland in 1951. He belonged to the Social Club, the Renaissance Club and Chevaliers de Colombs. 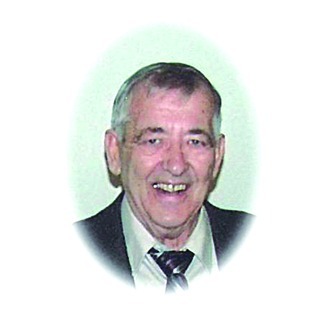 RIEL, Jean-Guy, It is with great sadness that the Riel family announces the passing of Jean Guy Riel on Thursday March 26th, 2009, at the Welland Hospital in his 71st year. Beloved Husband and companion of Rachel (Beaumier) Riel. Loving father of Sylvain (Kelly) of Stoney Creek and Remi of Welland. Cherished Grandpapa and Pepere to Tyler, Natasha, Sabrina, Joshua, Tamera, Allison, James, Todd and Jesse. Jean-Guy will be fondly remembered by his brothers; Gilbert of Ottawa, Rene (Georgette) of St. Catharines, his sisters; Yvette (Phillip), Therese (Claude), Alida and Jeannine (Marc) all of Quebec. Mr. Riel is survived by his sister-in-law Gisele Riel and is predeceased by his parents Achilles and Alice Riel. MCANINCH, Frank - Thursday September 10, 2009. Passed away peacefully at Welland Hospital surrounded by his loving family. 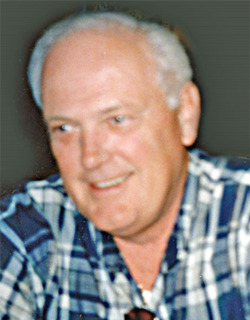 Beloved Husband of Susan Carr McAninch for 59 years. Loving Father of son James McAninch (Betty) son John McAninch (Diane) and daughter Mary McAninch. Proud Grandfather of James (Dawn) McAninch, Mike McAninch, Kristy McAninch and Amanda (Keith) Warner. Cherished Great-Grandfather of Julia, Samuel, Kendall McAninch and Jersey Warner. Survived by his sisters Betty Anderson of Welland and Rose Kenny of Australia and sisters-in-law Devina McAninch and Margery McAninch of Niagara Falls. Beloved Uncle to his many nieces and nephews. Predeceased by his parents James and Mary McAninch, and his brothers James, John, and grandson Scott McAninch. Frank will be sadly missed by his many friends at the Legion Branch 4 where he was a lifetime member, and the Welland Separate School Board St. Andrew and St. Augustine Schools where he worked for over 35 years. Family will be having a private service according to Frank's wishes. Internment will take place in Frank's home town of Lennoxtown, Scotland. BRKLJACIC, Lucille - Peacefully at the Woolcott Wing of the Welland General Hospital on Wednesday October 7, 2009. 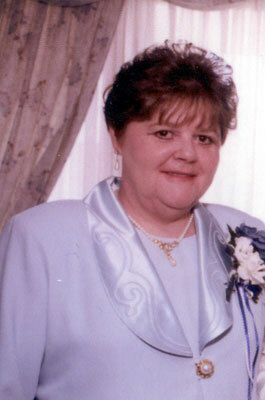 Lucille Brkljacic in her 72nd year. Predeceased by her husband Joseph (2001). Dearly loved mother of Greg Fleming and his companion Trish, Rhonda and her husband Michael Kennedy and Sean Fleming and his wife Francine. Cherished grandmother of Joey and his wife Danielle, Mikey, Seanna, Katelyn, April-Lee and Sarah. Loving sister of Adele, Rudolph, Rita, Juliet and Thelma. Predeceased by sisters Alice and Jacqueline and brother Philip. GRENIER, Therese - Peacefully with her loving family at her side Theresa Grenier passed away at the Welland General Hospital on Thursday May 6th 2010 at the age of 78. She will be sadly miss by her beloved daughter Claire and long-time loving companion Dave Roberts. Sister of Henri Beaulieu (Betty), Paul Beaulieu (Georgette), Yvette Sauvé, Pauline Chouinard (late Oliver) and Marie Claire Grenier. She will be deeply missed by her granddaughter Reneé and great- grandchildren Iverson and Kye. Therese was predeceased by her husband John, son Claude, parents Arthur Beaulieu and Marie Anna Demers. Therese was a member of the Legion Branch #4. BYER, Gregory - It is with profound sadness, the family announces the passing of Greg Byer on August 12, 2010. Sadly, Greg passed away in his 46th year at the Douglas Memorial Hospital surrounded by his family. 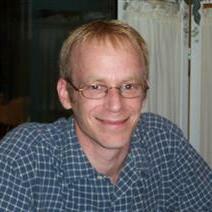 Greg will forever be missed by his mother Gloria Krving (Paul pre deceased) and father Bob (Mary) Byer. He will always be remembered by his brothers Terry (Donna), Gary (Tammy), Donald, Stephen (Kerrie) and sister Michelle (Michael). He will lovingly be remembered by his nephews and nieces Robert, Bryan, Taylor, Kelsey, Kristopher, Braedon and Tana Marie and his grandmother Edna Forrest. Greg was a member of "The Senators" Dart Team. He is fondly remembered for his sense of humor and story telling abilities. He never failed to make us laugh and smile. Greg also really enjoyed to sing Karaoke songs. He had a natural talent for singing, and looked forward to sharing that talent on the stage.
" I Hope You Don't Mind That I Put Down In Words, How Wonderful Life Is, While You're In The World "
CRAIGS, Kenneth - passed away surrounded by his loving family on Thursday, November 11, 2010 at Hospice Niagara at the age of 72. He is survived by his wife of 50 years and best friend Norma Craigs. He will be forever missed but never forgotten by his daughters, Tricia Hink (Dan) and Lesley Jones (Dean). He was the proud grandfather of Sean, Wyatt and Reese. Left also to mourn his loss are his many friends who were his extended family. As a member of the Branch 4 Legion "The Crew", Ken is deeply missed by his team mates and fellow WDODL darters. Ken was also active in the community. He volunteered many years with The Welland Minor Baseball Association, encouraging many young athletes to follow their dreams. LACOURSE, RENE DENISE passed away at his residence on Monday January 16, 2012 at the age of 65 years. Survived by his sisters Henriette Lacourse, Josh Lacourse, nieces Lisa Lacourse and Tamara Schoalts, nephew Donald Matthews, also survived by many great nieces and nephews. Predeceased by his parents Henry and Florence Lacourse, sister Evette and an infant brother. 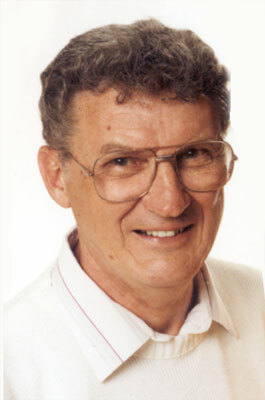 Rene was a member of the WDODL for many years. He played with the Silverado's Dart Team, and others during his career. 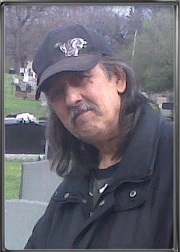 Rene is fondly remembered as a kind, and respectful man who loved to play the game of darts. He enjoyed a good, competitive game, irrespective of it's outcome. 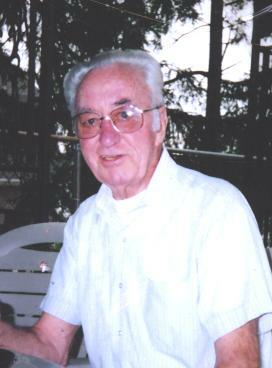 Rene was an active member in the Welland community. He volunteered with many public services, as well as Welland's 150th anniversary events. On December 9th, 2013 in his 77th year. Beloved husband to Noëlla, caring father to Michel and Andre (Mary-Kay) Jolin, Loving grandfather to Melissa, Eric and Emilie. Ernie was the younger brother to Jeanne Jolin, Roger (Georgette) Jolin, and Marguerite (Gerard) Robert. Ernie now joins his parents Alfred and Aurea, and his brother "Nap" Napoleon (Norines) in peace. Ernie will be missed by his in-laws Guy (Christiane) Talbot, Nicole Cimek, Danielle (Stan) Frost, predeceased by Gilles Talbot. Ernie had a vast extended family and will be missed by very many nieces, nephews and cousins. Ernie greatly enjoyed curling in the industrial League, and partaking in bowling and darts. Many great memories were made by Ernie and his family at Byng Park (Dunnville) and it will serve as a place where many great memories of Ernie are shared. Memorial service will be held in Welland on Friday, December 13th. Cremation has taken place and inurnment will take place at a later date. In lieu of flowers, the family would greatly appreciate donations to The Welland Dialysis Unit, St. Catharines Hospital Oncology Dept or a Charity of your choice as a way to honour Ernie's memory. 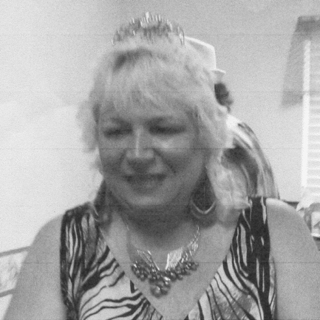 Sue passed peacefully, surrounded by family and friends, at the Welland Hospital on September 8th, 2014 at the age of 59. 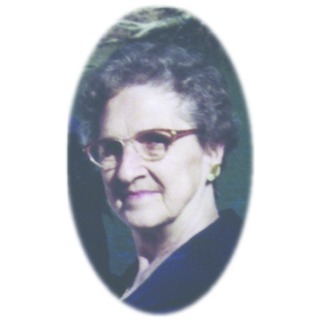 Beloved wife of 39 years to the late William Henry Searle. Loving mother of Alexis Right, Tanya Fox (Richard), and Matthew (Robin), and grandmother of Dakota, Isabelle, Madison, and Evan. Daughter of Yvette Ouellette, and sister of Diane, Colette, Nicole, and Michelle. Sue was predeceased by her father Gaston. The family will receive relatives and friends at the Royal Canadian Legion Branch #4, 383 Morningstar Avenue, Welland on Thursday, September 11th, with a Legion service to begin at 2:00pm. If desired, donations to the Poppy Campaign of the Royal Canadian Legion will be greatly appreciated. BERGER, Helen - In the comfort of her home and with her family by her side, Helen passed peacefully on June 24, 2015 at the age of 69. She is now joined with her father Robert Haenszel. Helen leaves behind her loving husband Andrew, her children Bonnie and Andrew (Lisa Bourque) and her granddaughter Trisha. 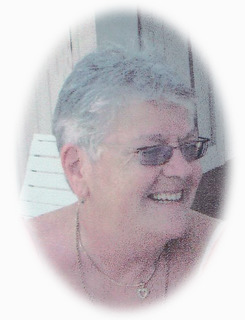 She will be dearly missed by her mother Margaret and brothers Robert Haenszel (Cindy), Roger (Laurie) and Brian (Annette). In keeping with Helen's wishes, cremation has taken place. A memorial celebration will be held at a later date. Donations may be made to the Walker Family Cancer Center. 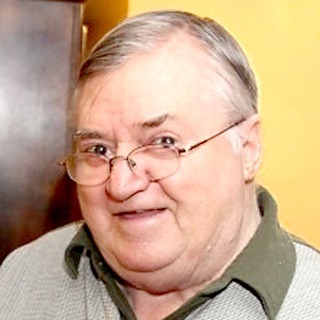 Gerard Ducharme - Passed away suddenly at his residence on November 8, 2016 in his 65th year. Survived by his companion of 20 years Brenda Robinson. Dear father of JoAnne Ducharme, Amy Wascher (John), Amanda Marttila (Shane), Richard Ducharme and Ashley Ducharme. Dearly missed by his step-daughter Wendy Lukacs (Steve), her children Brandon and Amber, and by many other grandchildren, nieces and nephews. Predeceased by his brother Richard Ducharme and sister Margo Johnson. 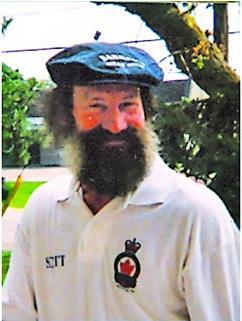 Jerry was an avid dart player and belonged to the Friday night mixed league at the Legion. Cremation has taken place. Arrangements entrusted to the ARMSTRONG FUNERAL HOME AND CHAPEL, 179 Clarence Street, Port Colborne. Memorial Service will be held on Thursday November 10, 2016 at 11:00 in the Armstrong Chapel. Interment will follow at Mt. St. Joseph Cemetery. If so desired, memorial donations may be made to Heart & Stroke or Kidney Foundation. 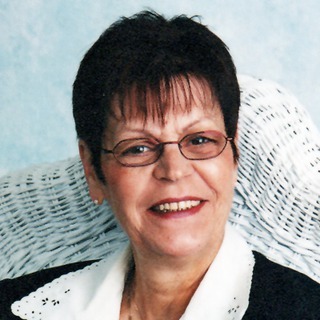 MUISE, Sandra - Passed away at the Hotel Dieu Shaver Hospital on Wednesday, January 18, 2017 at the age of 78. Loving wife of Sandy Muise for 58 years. Cherished mother of Steven Muise (Jill) and Lisa Humphries (Richard). Proud grandmother of Aaron and Katie Muise and Johnathon and Matthew Humphries. Survived by her loving sister Marilyn Barnhart (Richard), her sister-in-law Leona Covelli (Joe), her sister-in-law Lucy Kratz and her many nieces and nephews. 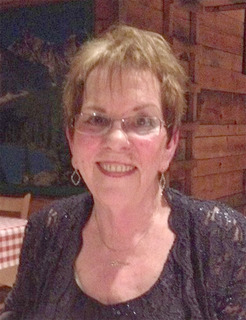 She was predeceased by her parents Ken and Eileen Kratz, her brother Carl Kratz and her sister-in-law Laurie Tufford and brother-in-law David Muise. Sandra worked at Page Hersey-Stelco until her retirement. Sandra stayed involved by volunteering as a mentor for Junior Achievement. 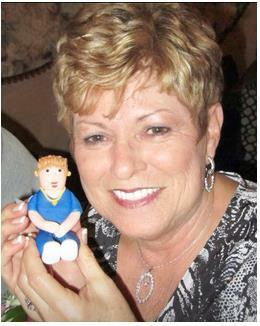 As an avid golfer, she was a team member of the Women's Solheim Golf Team, executive for the Niagara area Solheim Cup. Executive on Niagara District Lady's Golf Association, OLGA executive member, team member of Ontario Senior Ladies Golf Team in New Brunswick. 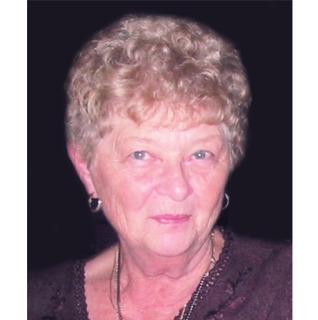 Sandra was an active member of the Royal Canadian Legion, Branch 4 Lady's Auxiliary and was involved in numerous dart leagues. Sandra's love of her family and friends will always be remembered by those who knew and loved her and she will be greatly missed by all. A special thank you to the Hotel Dieu Shaver Dr. Arvente, nursing staff, dietary and cleaning staff who took extra care of Sandra. In keeping with Sandra's wishes, cremation has taken place. A celebration of life will take place at the Royal Canadian Legion, Branch 4 on Tuesday, January 24, 2017 at 1 o'clock. Donations in memory of Sandra may be made through J.J. PATTERSON & SONS FUNERAL RESIDENCE 19 Young Street, Welland To Royal Canadian Legion Poppy Fund. On line memories and condolences at www.jjpatterson.ca As a memorial tribute, a tree will be planted through The Niagara Woodlands Restoration Program. A tree grows - memories live. MASON, Anson Charles (Charlie) -Passed away peacefully surrounded by his family at his home on Sunday, October 11, 2015 in his 90th year. He is survived by his loving wife of 62 years, Mary. Loving father of Beth, David (the late Ann), Donald, Lynne (Tim Murray) and Jennifer. Proud grandfather of 5 grandchildren and cherished great grandfather of 1 great granddaughter. Charlie owned and operated Charles Mason Contracting/Carpentry for many years. He was a long-time member of Sparrow Lakes Golf Club and he loved the outdoors, the wilderness and canoeing. In keeping with Charlie's wishes, cremation has taken place. A Celebration of Charlie's life will be held at the RCL Br.#4, 383 Morningstar Drive, Welland on Saturday, October 17, 2015 from 4 - 6 pm. Donations in his memory may be made to The Canadian Cancer Society or the Heart & Stroke Foundation.